Home / Examples of Framed Sports Memorabilia / Sports Memorabilia Framing. In this section you will find examples of Sports Memorabilia Framing work we have completed recently. 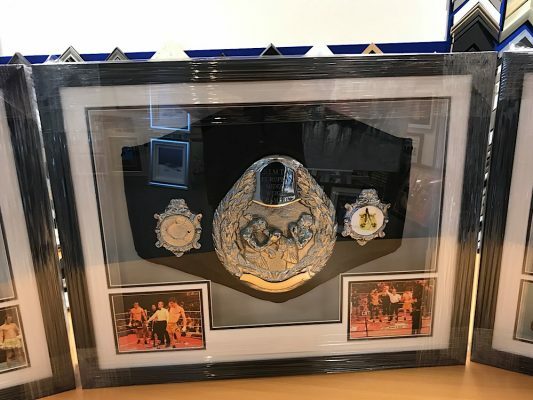 Are you looking to have a football shirt, boxing glove, marathon medals or a cricket bat framed, Framing Guru is for you. If you have a signed football shirt, cricket bat, boxing gloves or other sporting treasure, you’ll want to make sure it’s well protected. That’s where Framing Guru can help you. With over 20 years experience and dedication perfecting the techniques needed. 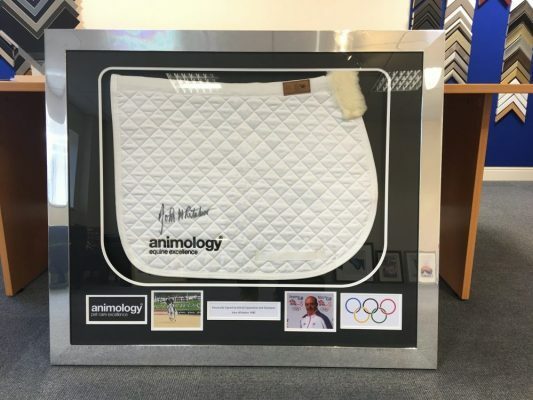 We perfectly frame sporting memorabilia and virtually anything else you can think of. 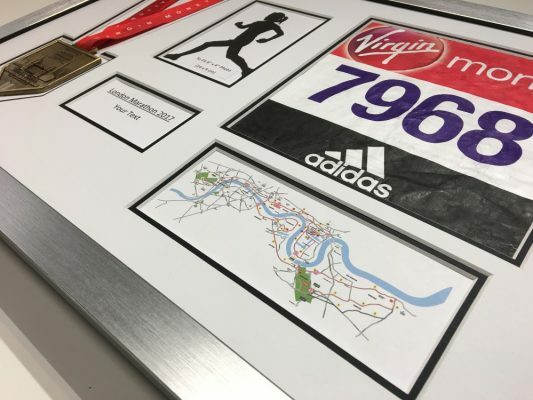 We can provide you with a frame and mount that will turn your item into a work of art, that you can showcase in your home or office for years to come !! !